Come be a part of the fastest growing sport in America! 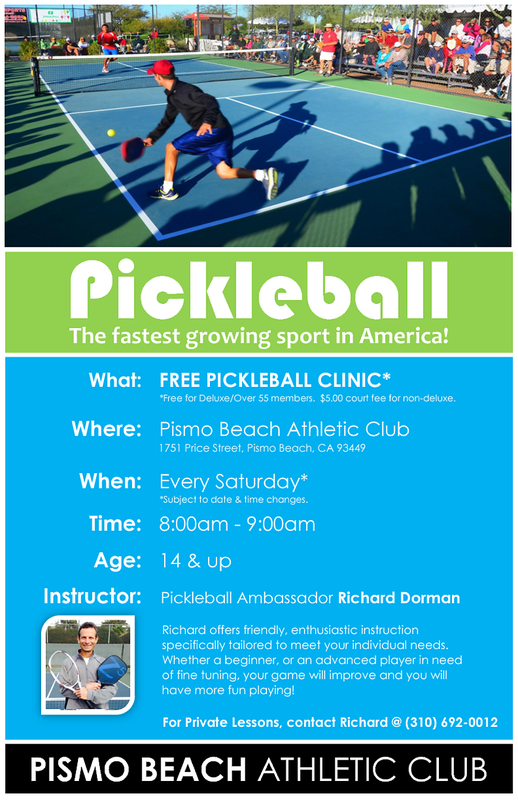 Pickleball is a paddle sport (similar to a racquet sport) that combines elements of badminton, tennis, and table tennis. PBAC offers clinics, private lessons and open play throughout the day for all skill levels. Whether you are seeking a little relaxation or a challenging workout, Pismo Beach Athletic Club offers a large, well equipped facility with a friendly, professional atmosphere.